I love this blouse!! 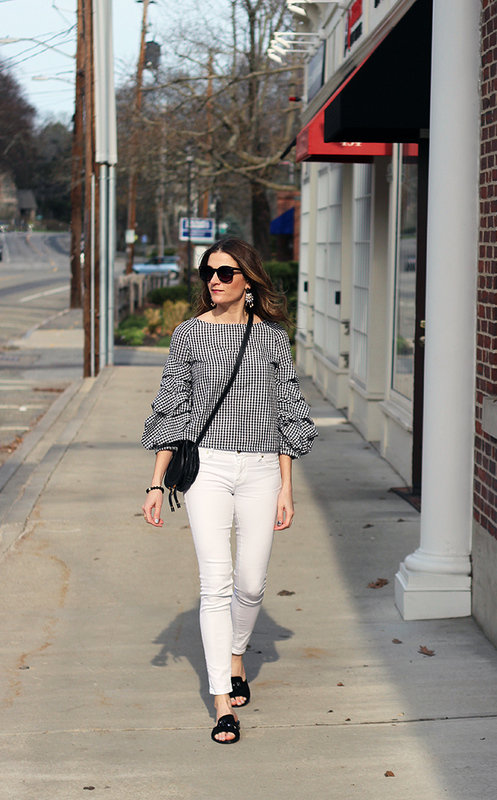 What a perfect top with the white jeans! Love this top! I may just have to check it out on shein too! The whole look is fab and I love the jewels on your pretty donald pliner slides! I LOVE the slides you chose! Your shoes are so versatile, you're so right. I love your top, too, and I'm so happy you're hosting with JPetite!Thanks for linking up with On Mondays We Link-Up! Gorgeous look! Those shoes look super comfy and your top is so much fun! Thanks for sharing with us at the link-up!! I'm seeing gingham everywhere! You rock this pattern so well - the sleeves on your top are so fun! Those slides are absolutely darling! I love the embellishment! Definitely a must-have for summer! This whole look is on point! Sounds like a great weekend! I am loving this black and white look. Your bag and slide are the perfect way to finish it off! I love your slides and the woven heels you shared. Donald J. Pliner has so many cuties to choose from! Glad you had a great weekend, sometimes I forget that your boys are twins, I give you mad mom props!! These slides are the cutest!! I love the embellishments on them! 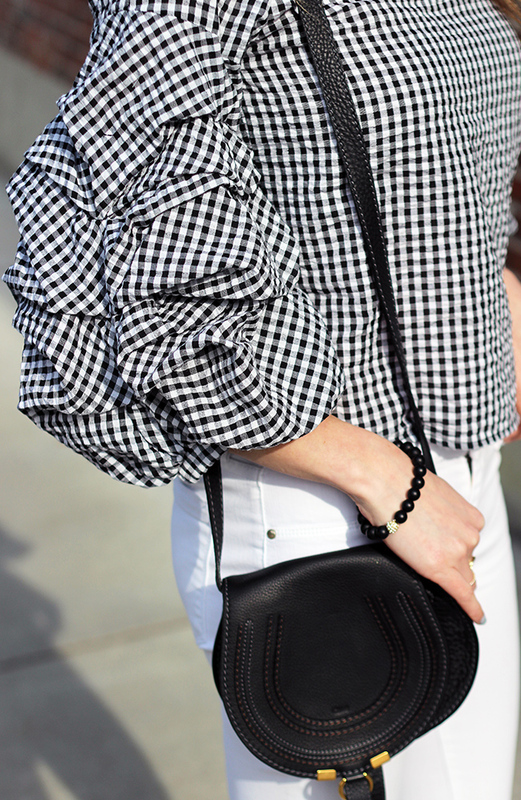 Those slides are so cute, and I'm loving the gingham top...the sleeves are beautiful! 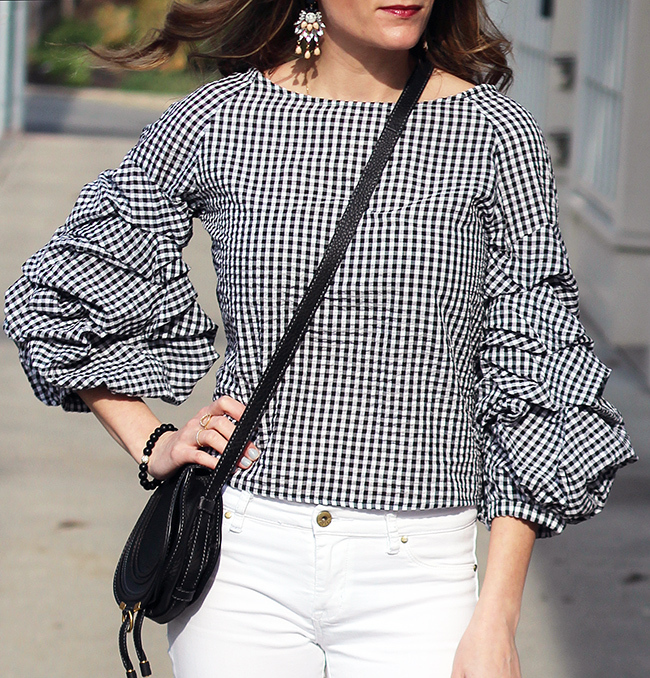 This gingham top is to die for! I love the sleeves and those flats are too cute! Loving the sleeves on your top and those white denim. 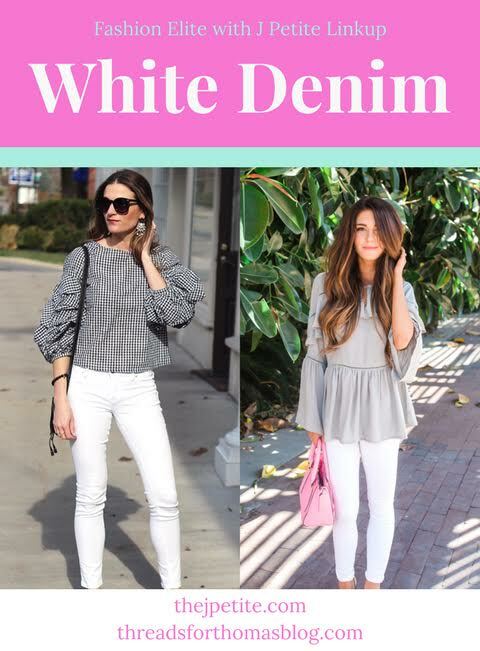 You really can't go wrong with white denim for spring/summer! Wow, the look is so classy. The top is so nice, love your style, darling! Te ha quedado un conjunto muy bonito, la camisa es ideal y queda perfecta con los jeans en blanco! I'm obsessed with that top! Such a classic look! You always have great outfits! Definitely a very cute pair of slides, and I love how the jewels on them echo the jewels of your earrings.